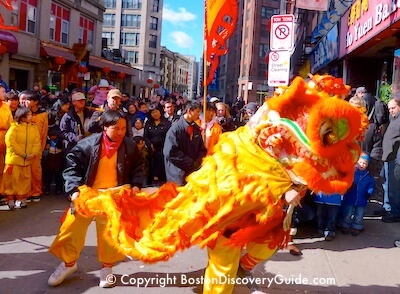 The Boston Event Calendar for February 2019 includes the Boston Beanpot hockey tournament, Disney on Ice, School of Rock at the Boston Opera House, Boyz II Men at the Orpheum, the huge New England Boat Show, and Chinese New Year celebrations to welcome the Year of the Dog. The New England Patriots return to the Super Bowl again this year - so find out where to watch and celebrate in Boston. UPDATE Feb 3 - CONGRATS to the Patriots on their 6th Super Bowl win! Weather during February can be a mix of snow and sunny days. Embrace the wintry weather by ice skating on Frog Pond, skiing or snowboarding on a nearby slope, or walking around the city when freshly fallen snow turns it white and sparkling. Indoors, the theater season continues in full swing, concerts take place almost every night, and the Boston Bruins and Celtics attract crowds of fans to TD Garden. 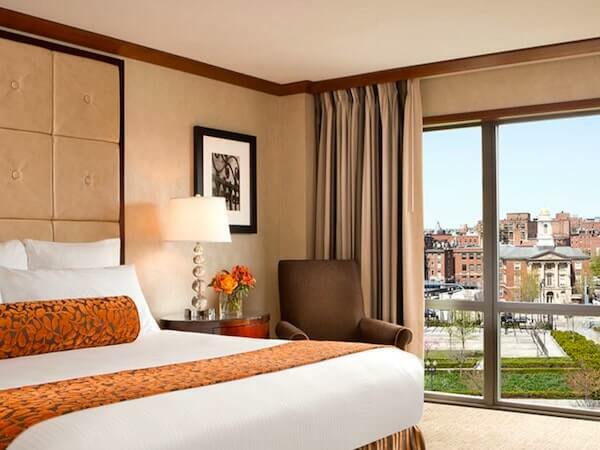 Boston hotels continue to give you their cheapest discount rates of the year during February. 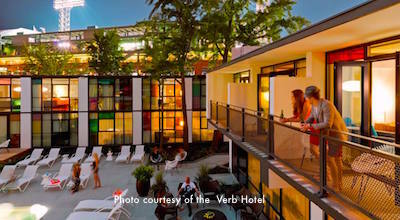 This the perfect time to enjoy the city's world-class museums, restaurants, and concerts. 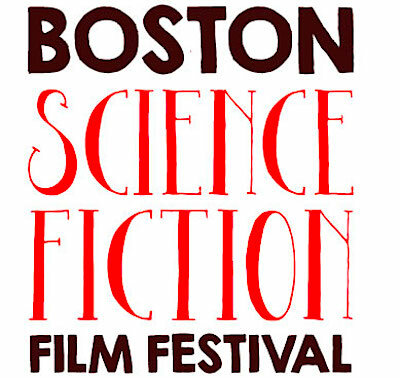 More to look forward to during February: the Boston Sci-Fi Film Festival. And after the Pats' Super Bowl win, another Victory Duck Boat Parade! 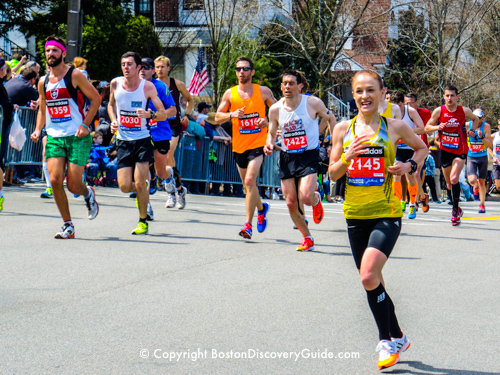 More things to do and see in Boston in February. Special Promo on Northern Lights Winter Cruises of Boston Harbor! 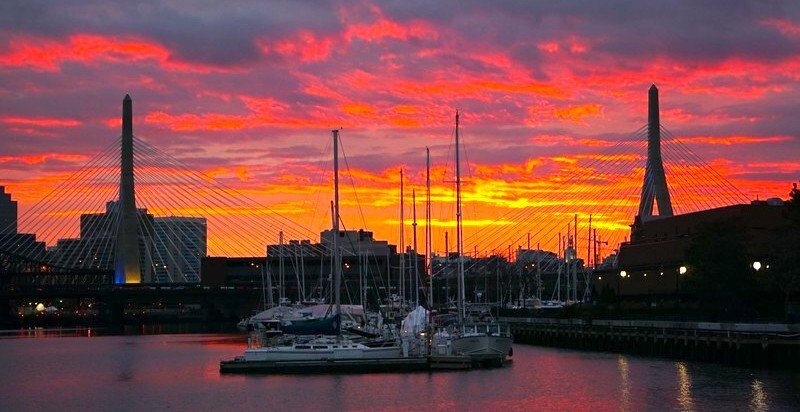 Enjoy the cozy comfort of Boston's Northern Lights yacht as you enjoy these special Winter Cruises around Boston Harbor. 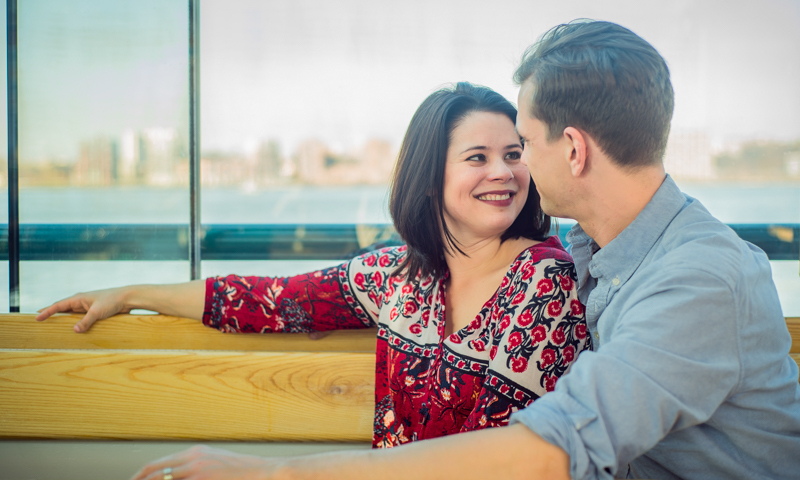 Winter City Lights Cruise - This romantic cruise features glittering city lights around Boston Harbor, soft classical music, and a fully stocked bar - perfect way to relax at the end of the day! Chinese New Year officially starts on February 5th to welcome the Year of the Pig. 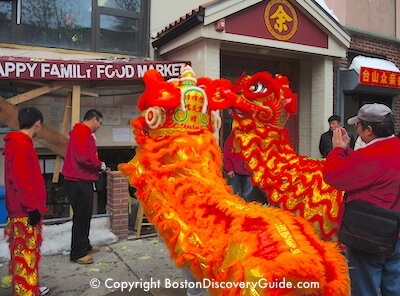 One of the most popular Chinese New Year activities in Boston is the huge Chinese New Year Parade in Chinatown featuring Lion Dances, drums, and firecrackers - truly an awesome event! Two Cultural Villages also take place each year to celebrate the New Year. Both Cultural Villages feature free fun activities - calligraphy, dough characters, dance, music, origami, balloons, and more, with a different mix at each location. - Celebrate the Year of the Pig with free admission and plenty of fun family activities all day to mark the Lunar New Year. Explore Chinese, Korean, and Vietnamese traditions, and enjoy music and dance performances including a Lion and Dragon Dance. Can't come on the 10th? 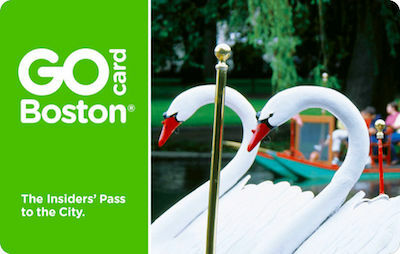 You can get free admission on other days if you have a valid Boston Discount Card. 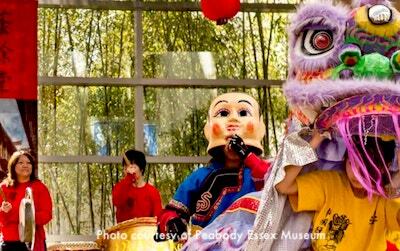 2019 welcomes the Year of the Pig in the Lunar Calendar, and the Peabody Essex Museum in Salem celebrates the New Year with a family fun day filled with art, performances such as Lion Dances and drumming, and activities. Take the opportunity to explore the museum's rich collection of Asian art and the Yin Yu Tang house acquired from China. 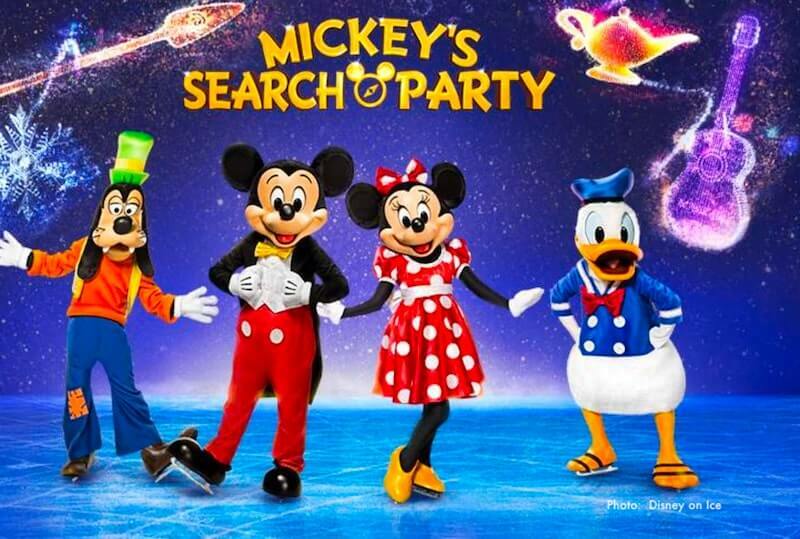 You'll relive exciting moments from Aladdin, Toy Story, and The Little Mermaid, sing along with Elsa in her magical world in Frozen, and will be thrilled by the magic of all the other scenes in this spectacular show. Look for shows by Boyz II Men at the Orpheum Theatre, Disney's DCappela at the Colonial Theatre, Beirut at House of Blues, and Lyle Lovett & John Hiatt at the Shubert Theatre. 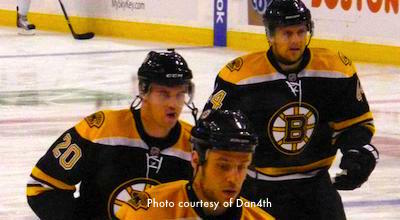 Get your Boston Bruins tickets for February home games, and head over to TD Garden for some fast action on the ice. These fun trolley tours, bus tours, and indoor destinations will let you enjoy the best of the Boston even when February weather is chilly! 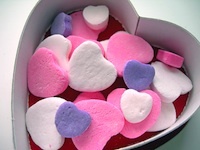 Valentine's Day is big in Boston, with lots of different ways and places to celebrate all weekend. The Boston Wine Festival, underway from January through early April at the Boston Harbor Hotel, offers a special Valentine's Dinner Dance on February 16 featuring live music, dancing, and incredible food matches with memorable Champagnes from Moët & Chandon. Alternately, opt for Champagne, a lavish brunch buffet, a New Orleans jazz band, and great Boston Harbor views at the Valentine/Jazz Brunch on Sunday, February 17. Get your Boston Celtics tickets for February home games, and head over to TD Garden for some fast action on the court from Boston's champion basketball team..
From now through June 30, ride Boston's Commuter Rail trains as much as you want for just $10 each weekend. 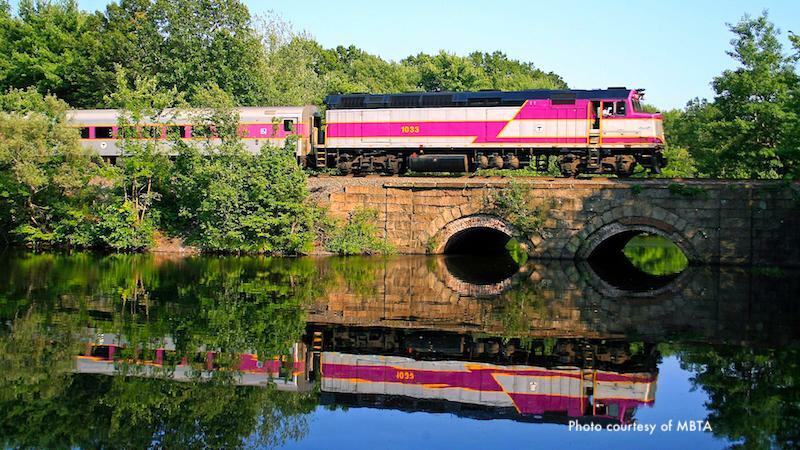 Take it into Boston, or use it for a day (or overnight) trip to Salem, Rockport, Wachusett (take an uber to Wachusett Mountain for skiing or snowboarding), Concord, and other destinations. When public schools through New England close for a week's holiday in February, Boston is the most popular destination. 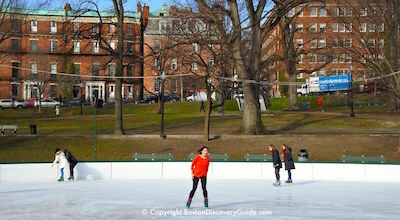 The annual Children's Winter Festival will take place on Boston Common on Thursday, February 23 from 10am to 3pm. Look for snow slides, toboggans, a snow maze, snowshoeing lessons, music, snacks, games, and arts and crafts. 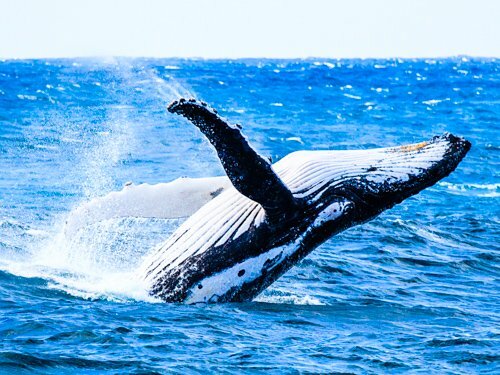 Hotels offer their lowest rates for the year during the winter months, you'll find plenty of winter outdoor activities, lots of shows and performances, museums, shopping, and more. 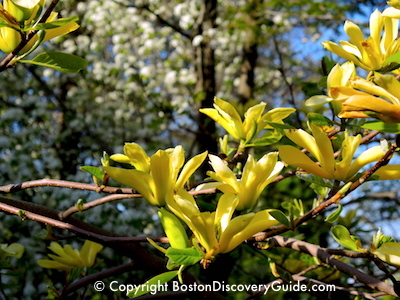 Find our recommendations for what to do in Boston during winter break week. 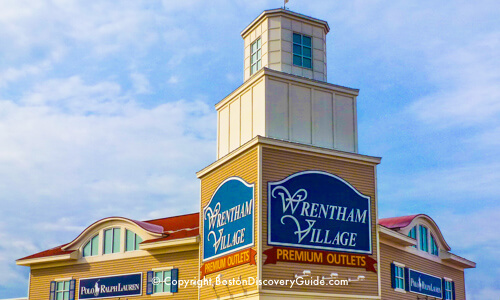 Wrentham Outlet Village - A luxury coach takes you to Wrentham Village Premium Outlets where everyday discounts on designer and name brands let you save 25%-65%, and sometimes even more. A free VIP coupon book offers you additional savings. 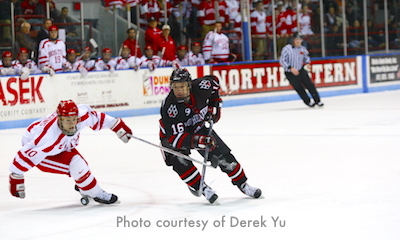 The legendary Boston Beanpot rivalry pits teams from Boston's 4 major hockey schools against each other in a battle on the ice at TD Garden during the first two Monday nights in February. The winner gets ... (drumroll) ... the Beanpot trophy. Here's how it works: Week 1 features 2 games, as the teams pair off against each other. In Week 2, winners battle each other for the championship and #2 slot, while the losers play each other to see who will be in 3rd place. Outdoor winter activities - What's the best way to beat the cold? Embrace it! The 44th annual Boston Sci-Fi Festival features 11 days of features and shorts from all over the world, plus a 24-hour marathon, "The 'Thon," that separates mere fans from committed fanatics on the final day of the fest. 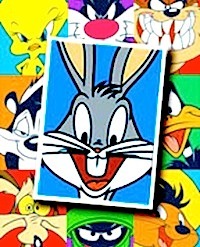 Can you sit through 1,440 minutes of sci-fi classics, premiers, cartoons, and more? The 'Thon is not for the faint-hearted! 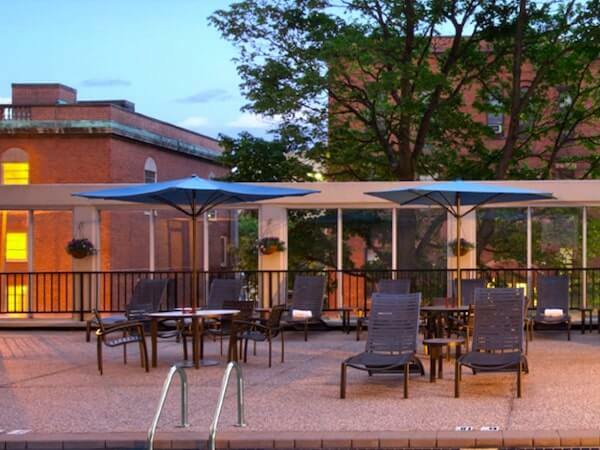 If you're coming to the Sci-Fi Film Festival from out of town, you'll find the most convenient hotel options close to the Red Line of Boston's subway in Cambridge. Best way to save in Boston. 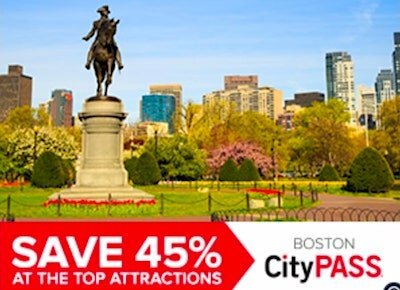 Save up to 50% on museums, the New England Aquarium, plus admission to other attractions, tours, day trips, and cruises. Compare to find out which one is best for you. 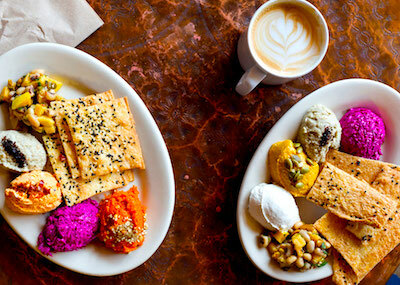 - Sofra's Bakery & Cafe - Award-winning Chefs Ana Sortun and other instructors from Sofra and Sarma conduct almost-weekly 2 1/2-hour cooking classes/demonstrations at 6:30pm at Sofra (1 Belmont Street, Cambridge). In addition to yummy samples including beverage pairings, you get recipes to take home with you. - February 11 - Basic Pantry 101 - Find out how staples such as heirloom whole grains, dried beans, legumes, spices, and special condiments like pomegranate molasses and tahini transform your winter cooking - and sample thr results! - Boston Wine School - "Wine and Chocolate: Making the Perfect Match" - February 13 and 14. Boston Wine School teams up with Lantera @ Boston Landing for a workshop on Feb 13 and VINOvations for a class plus dinner on the 14th for these fun wine and chocolate tasting events. See Boston Wine School's event calendar for more information. 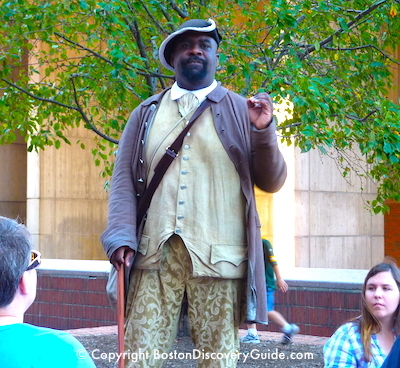 African American Patriots Tour - Conducted by costumed guides, the Freedom Trail Foundation offers these special tours at 12:45 on Saturdays and Sundays throughout February. You'll hear stories about famous Revolutionary Crispus Atticus (that's a reenactor portraying him in the photo at the left), writer Phillis Wheatley, and many more. Tours depart from the Visitor Information Center on Boston Common; see the Freedom Trail Foundation's website for details and ticket information. 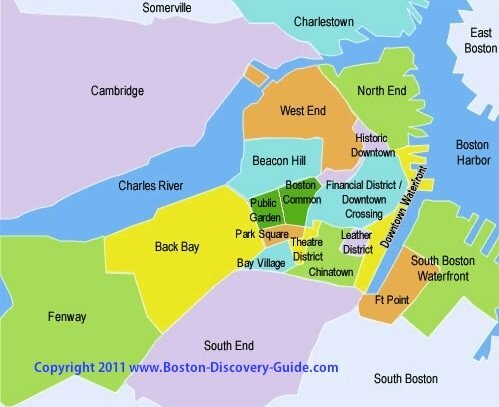 African American History Month: Special Talks & Tours - Boston's Museum of African American History in Beacon Hill is planning special talks and tours focusing on the pioneering activists, entrepreneurs, journalists, educators, artists, and authors who organized campaigns to advance the cause of freedom. See their website for details. Boston Black - This permanent exhibit at the Children's Museum highlights contemporary Boston's diverse African heritage and Black communities and culture. 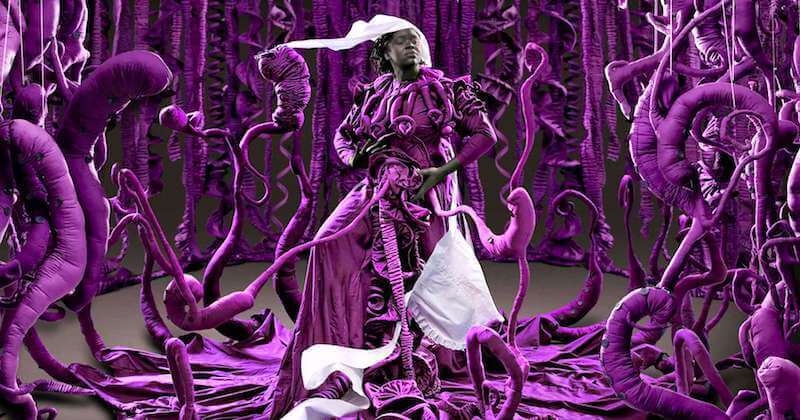 MFA's "Made Visible: Contemporary South African Fashion and Identity" exhibit features works depicting South Africans historically denied their rights, and exploring how clothing communicates identity. Museum of Fine Arts - February 2 - May 12. Head over to Frog Pond every Tuesday Night (except for major holidays, and school breaks / vacations) from 6pm - 9pm for College Nights. 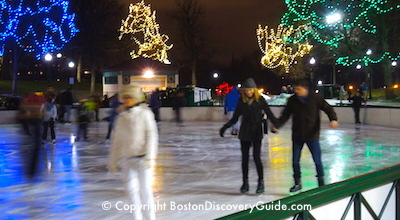 Show your current college ID and get half-price admission (bring your own skates or rent them at the rink) - it's the best Cheap Date in Boston! Just in time for Valentine's Day and school vacation week (in case you need an excuse), Brattle Theatre in Cambridge will show Casablanca and The Princess Bride on February 13 and 14, followed by their 24th Annual Bugs Bunny Film Festival on February 15 - 23, with multiple viewing times. If home remodeling or building is in your future, the New England Home Show is where you can see hundreds of products and services exhibited in one convenient space, talk to the experts, and collect business cards and brochures for follow-up. Throughout the show, you can expect to find everything from green energy options to outdoor furniture to fixtures, cabinets, appliances, flooring, windows, and more. 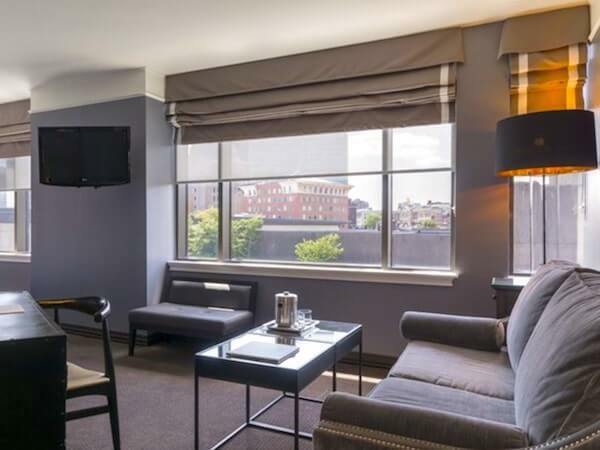 To make your Valentine's Day celebration extra-special by staying over in the city, check out the super savings packages offered by many of Boston's top hotels. 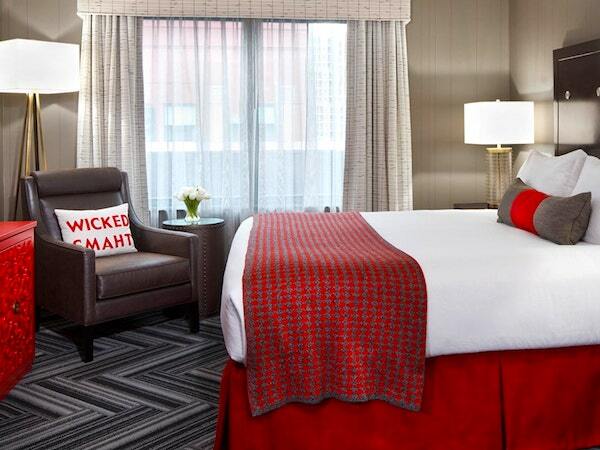 Opt for the "Lovers Rock" Valentine's Day package at Verb Hotel, "Be Mine in Beantown" at The Boxer, the "Romance Package" special at the Revere Boston, or the "Boston is for Lovers" package at the Midtown Boston Hotel - plus many more! 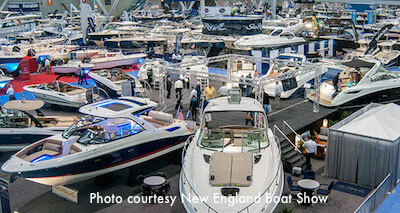 New England's biggest boating event has something for everyone, and is bigger than ever this year. Check out all 250+ exhibits, attend free hands-on docking and line-handling demos, and find out everything you need to know about owningand enjoying a boat. 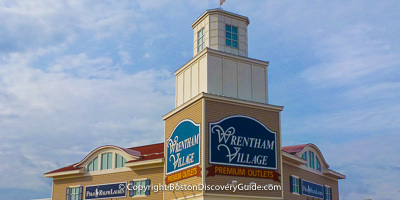 Westin Boston Waterfront - Closest to the Boston Convention and Exhibition Center, connected to it by a skywalk. 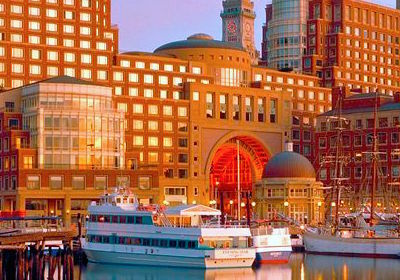 Seaport Hotel - Just a block or two away from the BCEC. Renaissance Boston Hotel - Also a block or two away from BCEC. If you're touring the Freedom Trail on a Tuesday, drop by King's Chapel at noon to hear a 35-minute concert. Performers vary each week, and perform a wide variety of music ranging from jazz to folk, medieval to modern. Particularly special are those featuring King's Chapel's renowned C.B. Fisk organ. 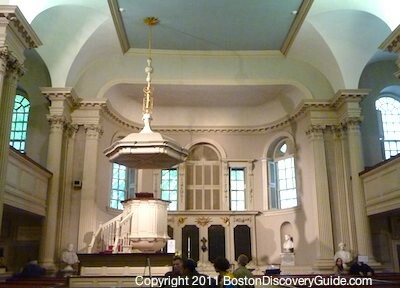 King's Chapel's music programs date back to 1713 when it became the first church in New England to get an organ. The current C.B. Fisk organ is its sixth. New England Patriots - It's Official: Super Bowl 53! 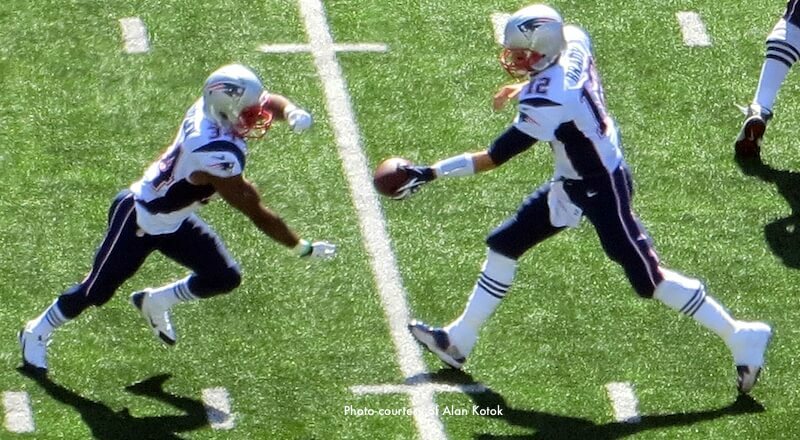 The Patriots are heading to the Super Bowl again this year - so get your tickets now! Patriots won the Super Bowl for 2019, so a huge Patriots Super Bowl Parade in Boston's Duck Boats kicks off at 11am on Tuesday, February 5 to celebrate the Patriots' Super Bowl victory. The parade route starts on Boylston Street at Prudential Center, continues down Boylston Street past Boston Common, turns left on Tremont, and winds its way over to City Hall Plaza where the parade ends. Take public transportation; rush hour service will be in place all day. Bikes (even folding bikes) will not be allowed on the trains due to expected crowds. There will be street closures and parking restrictions near the route, and towing starts at 6am. With temperatures expected to reach balmy (for February) low 50s by 11am, crowds are likely to be bigger than ever! The Patriots' Super Bowl Victory Parade will be their 6th since 2001.